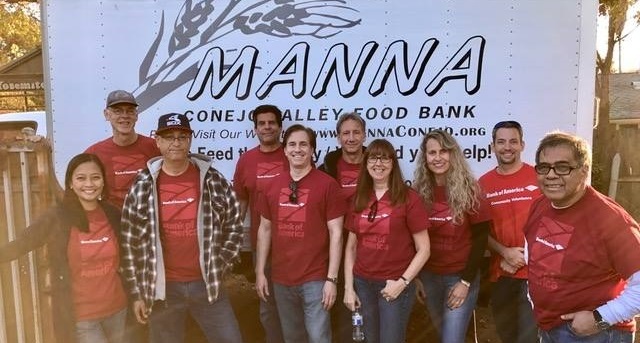 Manna is situated in a 700 square-foot house in the “Old Town” area of Thousand Oaks, and serves, on average, more than 1,400 people per month. With holiday distribution programs, we help over 20,000 people each year throughout the 101 corridor cities from the Calabasas Grade to the Conejo Grade. Unlike many food pantries in the area, Manna is not formally affiliated with any religious organization, nor are we federally funded in any way. In fact, Manna exists almost entirely on private donations of food and funding. 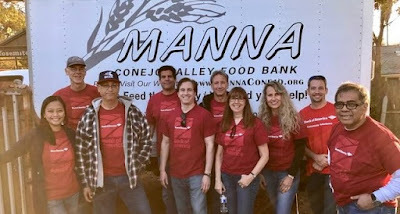 More than 95% of the food Manna distributes each year is donated by organizations, businesses, and individuals from around the Conejo Valley. Funding is provided through generous donors and grant writing efforts. 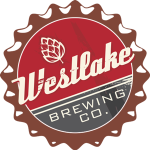 Come on out and join us THURSDAY - JUNE 22, 2017, 8 PM - 11 PM in Westlake Village at Westlake Brewing Company for a real good time, real good beer, for a real good cause!All Brewers & Blues Food Drive concerts are FREE to the public. We invite you to please bring a non-perishable food donation to help those in need; music and meals can heal.